Allan Oziel chatted with Canadian Lawyer Magazine about how smaller law firms are competing with the big Bay St. firms. On November 14, 2018, the Government of Canada published the new Trademarks Regulations (Regulations) that will enable Canada’s accession to three international trademark treaties administered by the World Intellectual Property Office (WIPO): the Singapore Treaty, the Madrid Protocol, and the Nice Agreement. The new Regulations will support the amendments that were made to the Trade-marks Act (Act) in 2014. In addition to harmonizing Canada’s trademark regime with international norms, the new Regulations, which will come into force on June 17, 2019, are also expected to simplify the regulatory framework and reduce the administrative burden on applicants. Implementation of Madrid Protocol: Applicants will be able to apply for trademark protection in multiple countries through a single application. 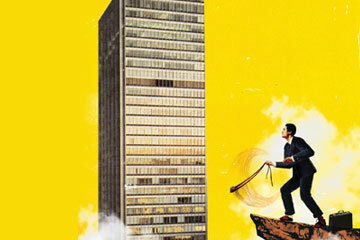 Removal of use as a requirement for registration: Under the current Act, applications must be based on a) use or proposed use of the trademark in Canada, b) the trademark having been used abroad and made known in Canada, or c) use and application/registration of the trademark abroad. In any case, no registration can be issued until the applicant declares the use of the trademark in Canada. With the amendments to the Act, the “use” requirement will be removed. Applications will no longer need to specify a date of first use, and the filing of a declaration of use will not be required to proceed to registration. Harmonized goods and services classification system: Goods and/or services will have to be appropriately grouped according to the classes of the Nice Classification, which provides a consistent system across all member countries. New Application Fee Structure: The application fee will only include the first class of goods or services. Applicants will have to pay additional fees for each added class of goods or services. Reduction of the Term of Registration: Under the current Act, registered trademarks are subject to renewal every 15 years. 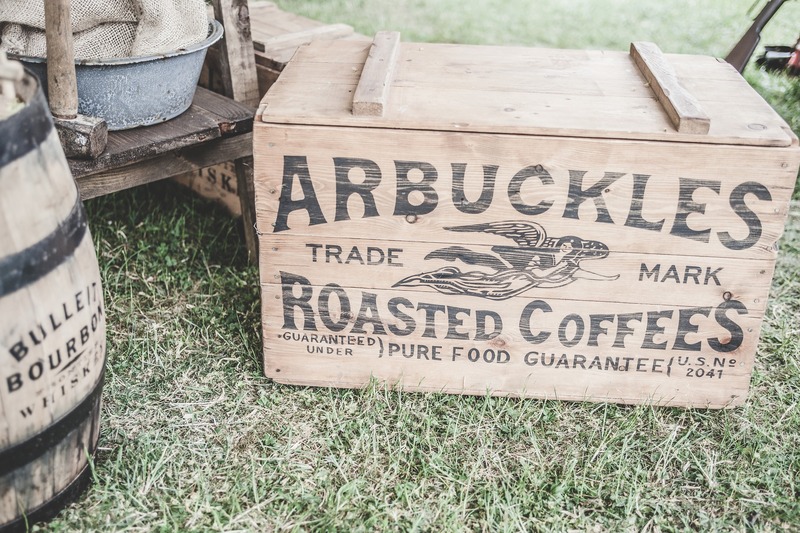 Under the new Regulations, trademark registrations issued after June 2019 will be granted a term of 10 years. More Flexibility to Amend Applications: The new Regulations offer greater flexibility in correcting errors prior to the registration of the trademark. 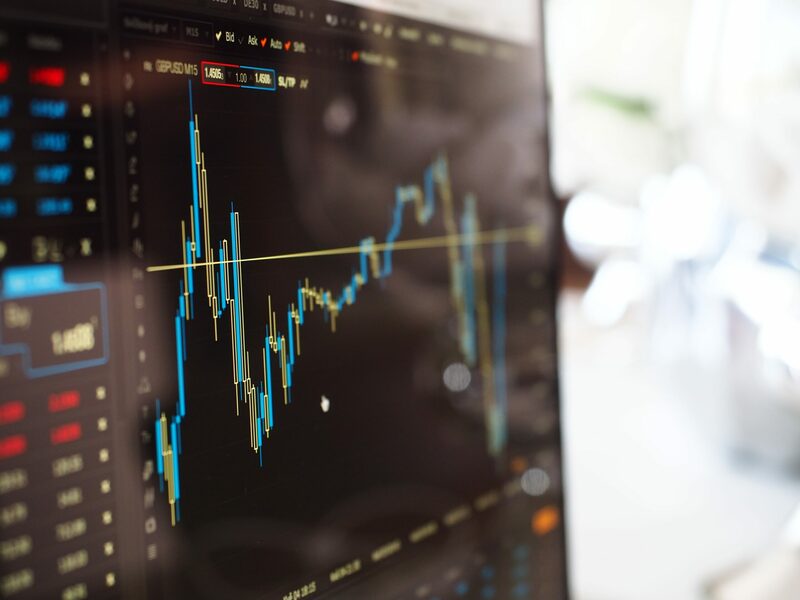 The new Regulations also provide a number of transitional provisions for applications submitted and trademarks registered before June 17, 2019. If you have any concerns or questions, please contact our team here. 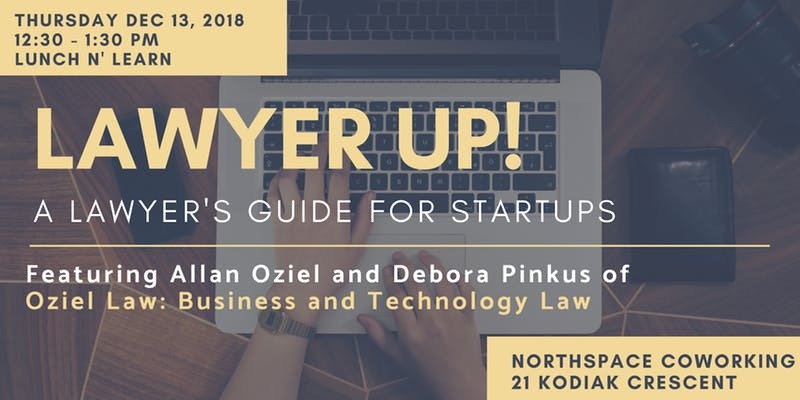 Come join Allan Oziel and Debora Pinkus for a lunch and learn session on startup law at Northspace Coworking. 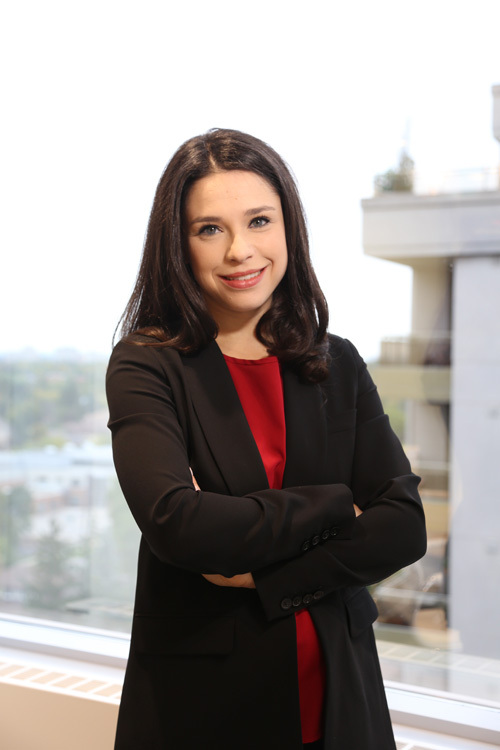 Oziel Law is proud to welcome its newest associate, Debora Pinkus. 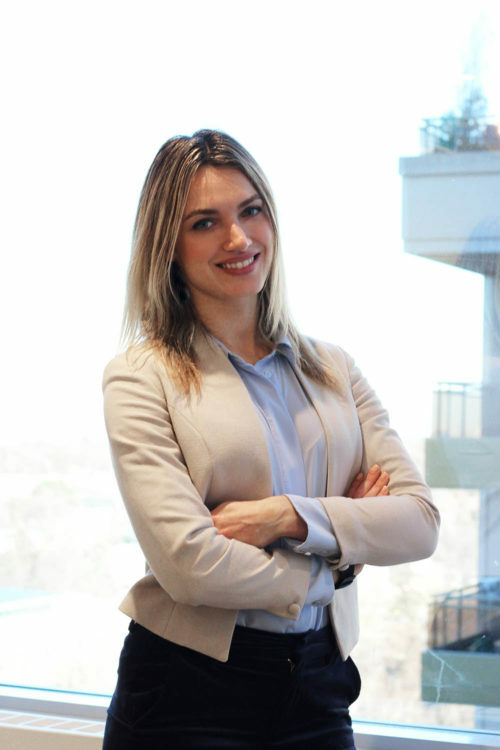 Debora’s practice will focus on advising startups and emerging businesses on business law matters, technology contracting and commercial transactions. To learn more about Debora or to contact her, please click here. 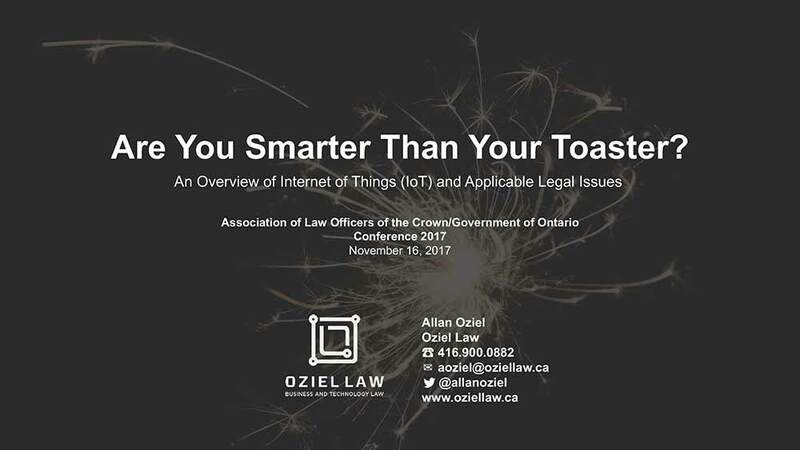 Allan Oziel presented about taking client data across borders at the Ontario Bar Association (OBA) IT and IP Conference.